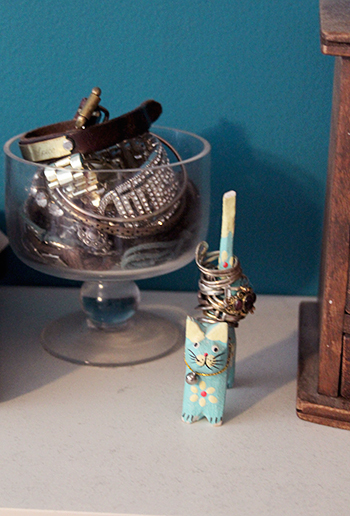 This Analog Adventure: How I Display my Jewelry! 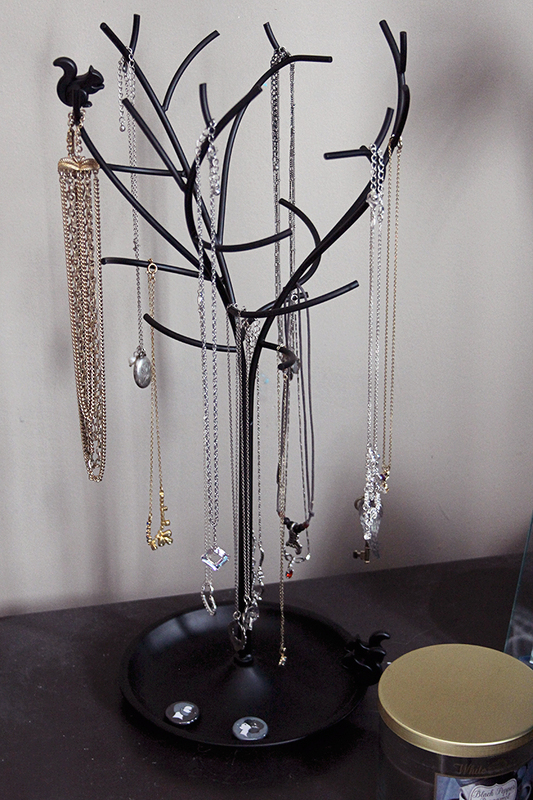 How I Display my Jewelry! 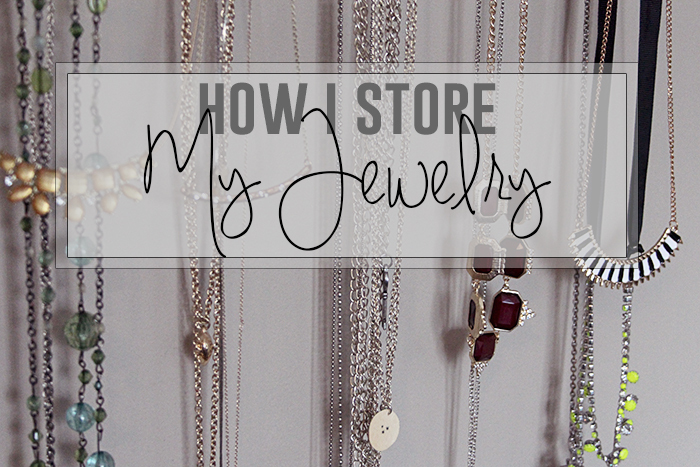 I have a fairly rediculous amount of Jewelry - not expensive, but a lot of bigger pieces that I've been collecting over the years. For a long while I struggled with storing it all, and it ended up on an ugly cork board with everything jumbled up. 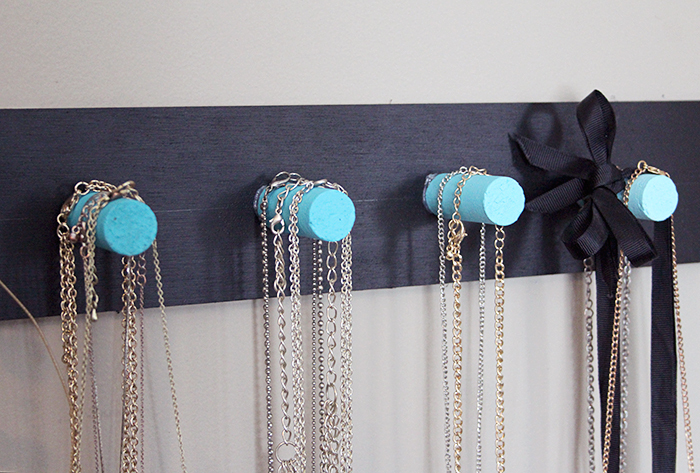 I've recently changed out that cork board for a pretty Ombre hanger that was incredibly easy to make, and thought I'd share. 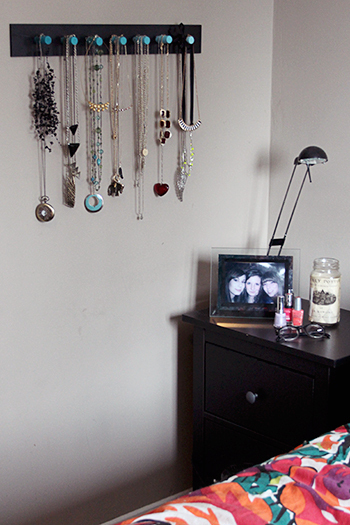 I have a few different ways of displaying/storing my jewelry, so here we go! All I did to make this was spray paint a board black, paint some corks in an Ombre pattern, and then super glue them onto the board. 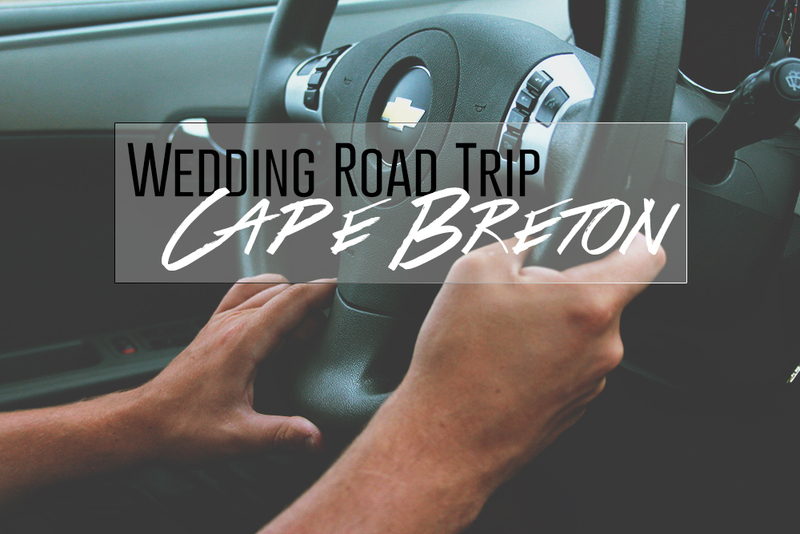 Super easy and cute at the same time! 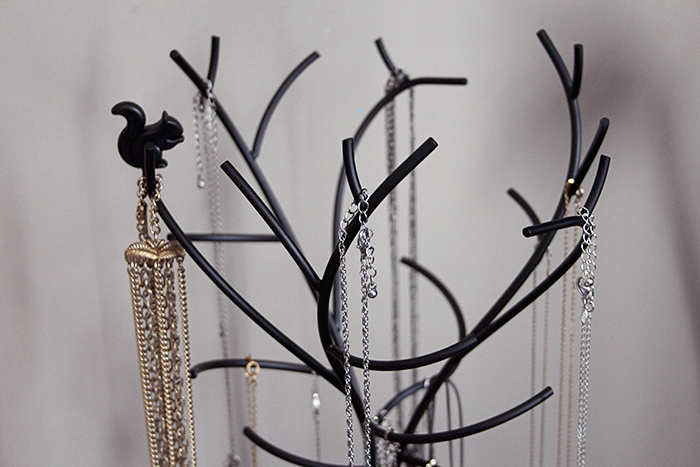 I got this cute little necklace stand at Target for $20 and use it to store my more delicate chains and necklaces. 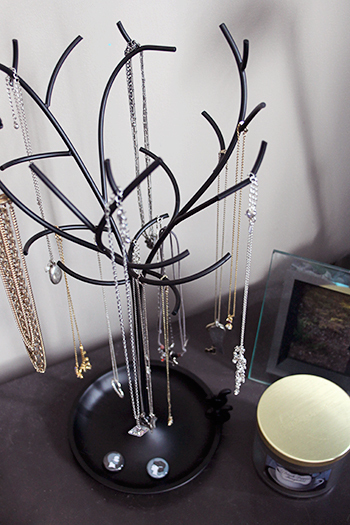 This way they don't get tangled together, but are still pretty to look at! 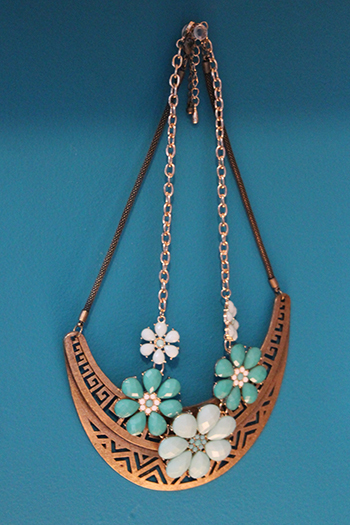 Have some bigger, statement pieces that you'd like to show off a little? 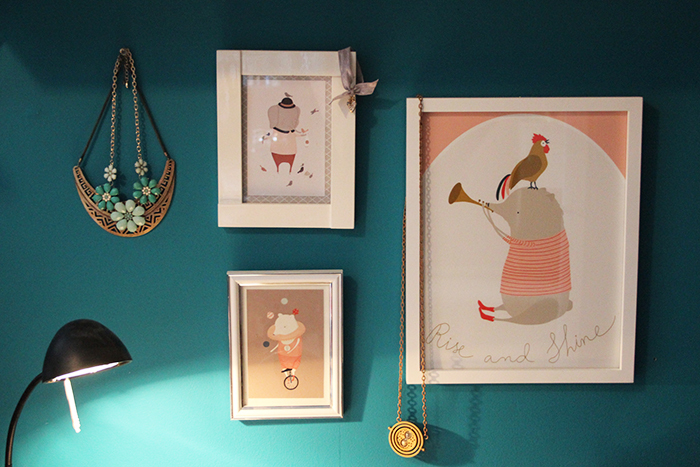 Hang them with a gallery wall and treat them as art! 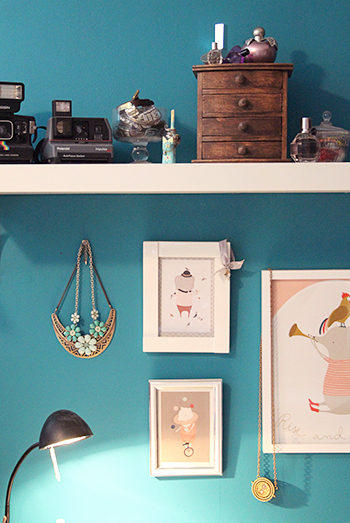 This is a fun way to liven up your walls for spring, too. 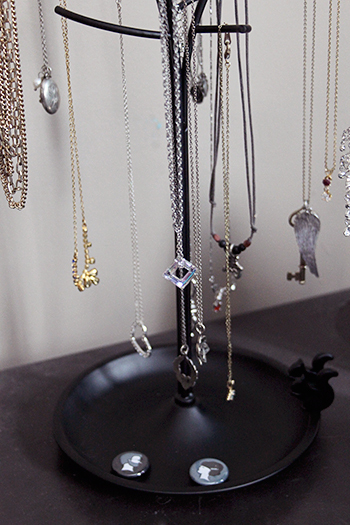 And thats how I store all my Jewelry! 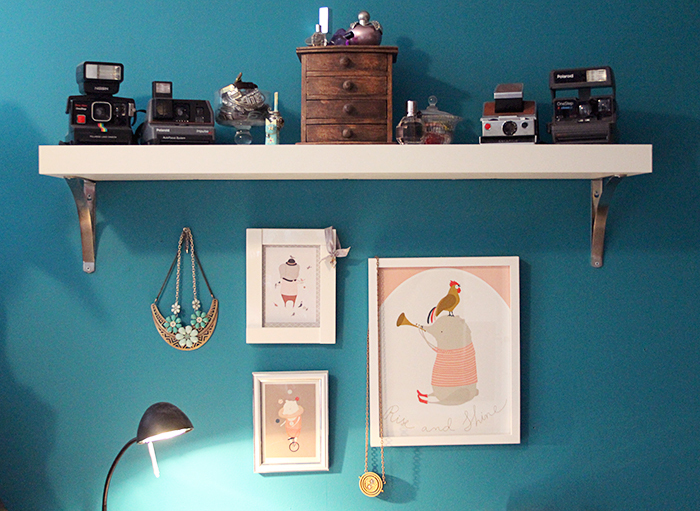 Hopefully this gave you some ideas and inspired you to show off your pieces! 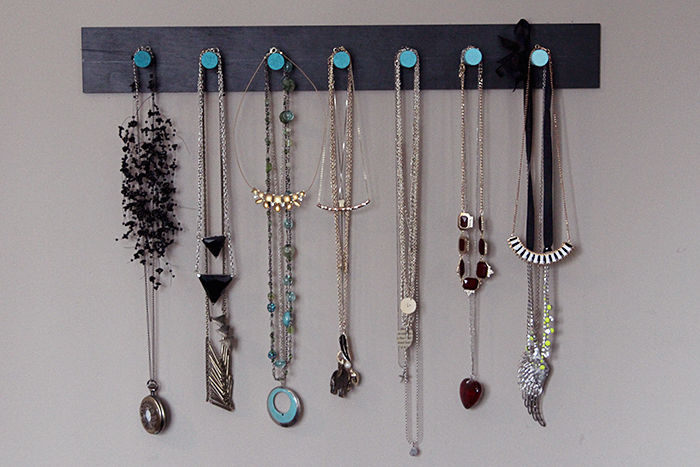 I've been waiting to move so I can make a necklace wall! Is it sad that I'm excited to see all my jewellery out of a box? haha. 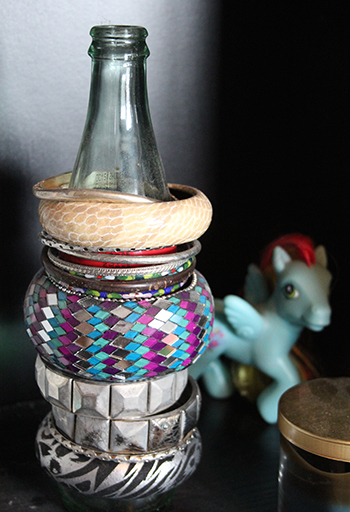 I use a bottle for my bangles too. 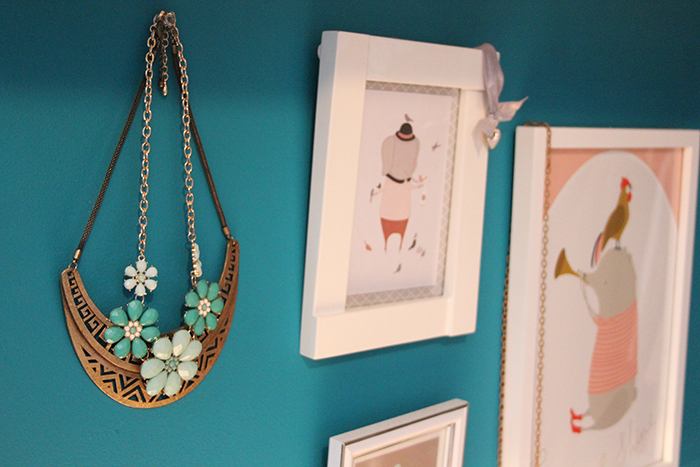 Huh, I never ever though of hanging a statement necklace as art. Great idea. 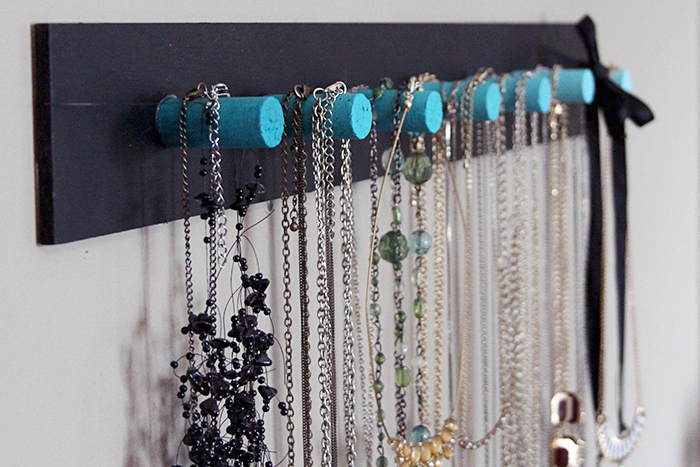 These are seriously great ideas. 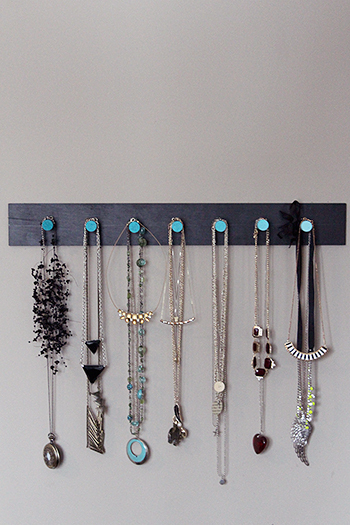 I've been hanging my necklaces on the wall like your last idea, but I really love the ombre hanger idea! Love this! All these ideas are great. 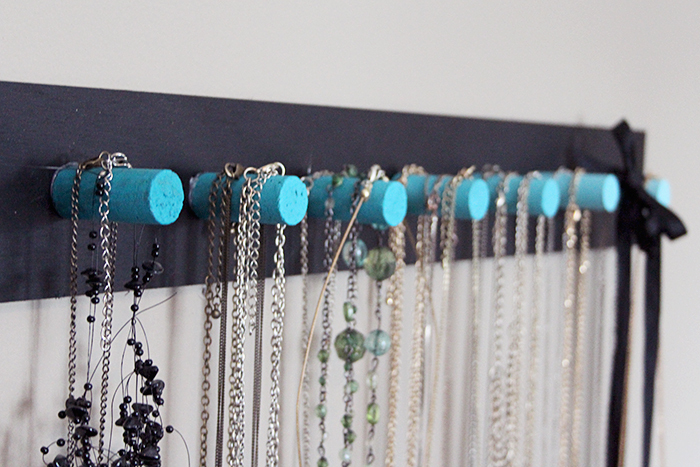 Shame I'm too lazy to actually go ahead and do any of them (plus my cat would probably have a blast if I started hanging necklaces off the wall! ).